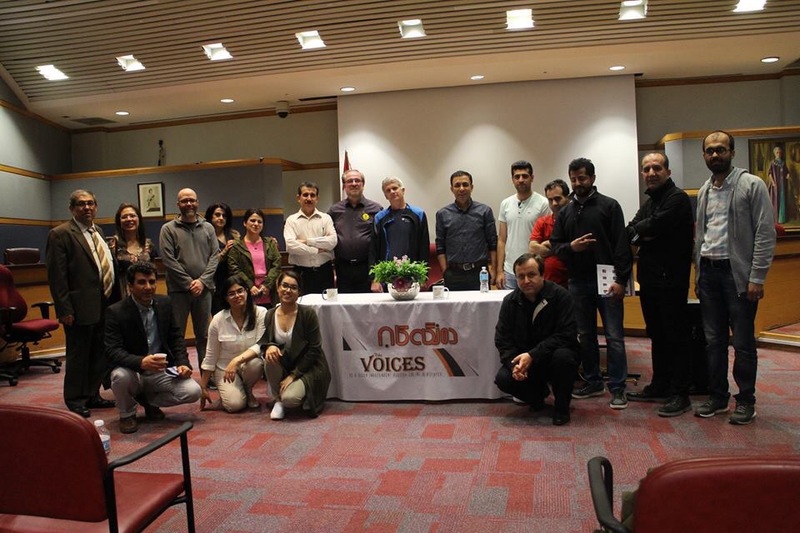 Members of Socialist Action joined about 30 Kurdish socialists and supporters gathered at the East York Civic Center on June 4 to listen to John Clarke, provincial organizer of the Ontario Coalition Against Poverty, talk about Poverty and Homelessness in Canada. 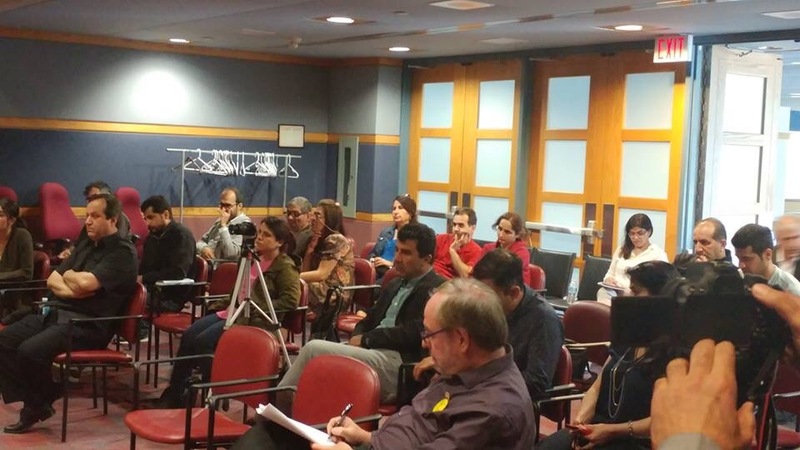 The event was sponsored by Voices – an independent Kurdish Online publication. 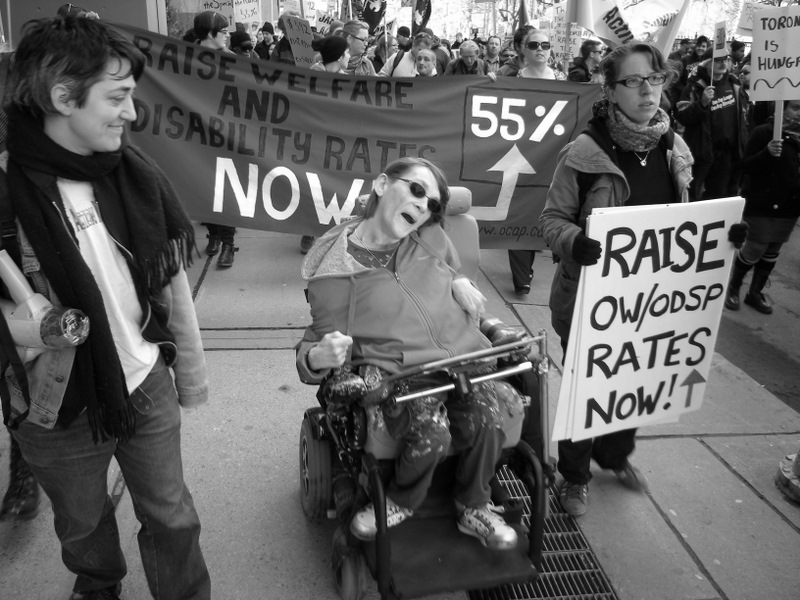 John exposed the root causes of poverty in Ontario and described the heroic role of OCAP. He told the audience how every night over 4000 people crowd into shelters, how tens of thousands have been forced by the government’s neo-liberal austerity policies to use food banks, and how since last year there have been over 100 tragic homeless deaths on the streets— the most ever recorded in Toronto! He illustrated how disgraceful it is that this can happen in a city with such immense wealth. He also aptly defended OCAP’s use of direct action tactics, without seeking permission from the cops or anyone. 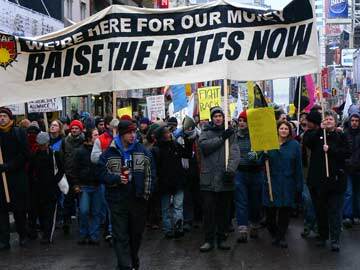 Clarke noted that while workers can withdraw their labour and go on strike, the unemployed and homeless can use only direct action as their weapon to fight against the system. His talk was animated by very moving personal anecdotes about the many people that OCAP has helped over the years. During the discussion period, Barry Weisleder, a leader of Socialist Action, stressed that the only way to end poverty is through a revolutionary break with the existing class system, that is, by a socialist transformation of society. Such a transformation has at least two pre-conditions for it’s success: a working class that is rising in anger about the unacceptability of current conditions, and a revolutionary leadership in the unions and other working class organizations that will fight for a program to fundamentally change society. This is not a matter of charity. It is a struggle for justice and a revolt against unacceptable conditions for humanity and the environment. He urged members of the audience to join with Socialist Action in order to help build a strong and resolutely revolutionary party. • Mayor Tory: Immediately expand Toronto’s shelter capacity. Open the armories! People have been waiting long enough! • Build decent housing for all, starting with a crash programme to create 500,000 new housing units by means of a publicly owned land development and construction industry. • Provide immediate support and resources for those suffering mental health issues and drug addiction! • Stop the war on the poor! Tax rich property owners, land developers, giant corporations and banks! • NO MORE HOMELESS DEATHS! The Anti-Drone War tour came to Toronto November 29-30 to raise awareness about a state-sponsored crime against humanity – America’s use of unmanned bomber aircraft to conduct wars of intervention in Pakistan, Afganistan, the Middle East and Africa. 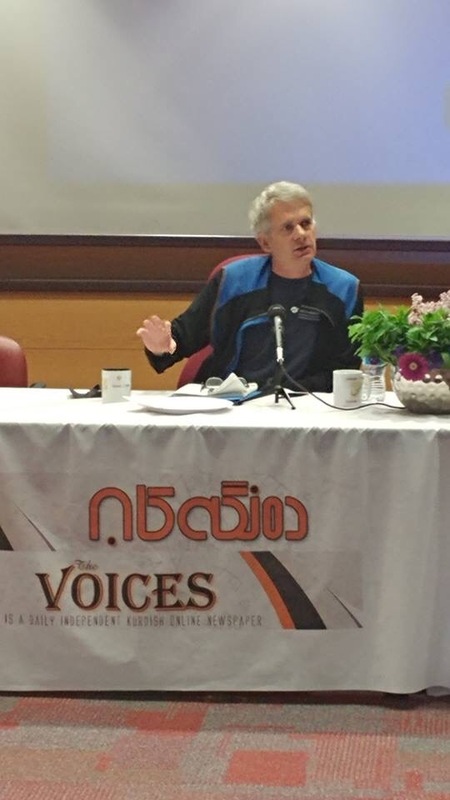 Over a hundred people attended meetings that included a talk and photo slide show by veteran peace activist Joe Lombardo at Mississauga Central Library and at two downtown Toronto university campuses. Joe is Co-Coordinator of the United National Antiwar Coalition (UNAC). During the Vietnam War, he was a staff person for the National Peace Action Coalition, one of the 2 major anti-war coalitions at the time. Joe, a retired public service worker, lives in Albany, New York, where he is a leader of Bethlehem Neighbors for Peace. He participated in the 31-member CodePink-initiated U.S. delegation to Pakistan in October to meet with anti-drone activists and relatives of the 760 civilians murdered by U.S. bombs. The delegates visited Karachi, Islamabad, and Lahore, but were turned back by the Pakistan military as they approached Waziristan (the province bordering Afghanistan). The American delegation was front-page news in Pakistan for the duration of its visit. Participants met with scores of victims of drone warfare, and spoke at several news conferences. They travelled the countryside in a kilometres-long caravan of vehicles, addressing impromptu rallies in town after town. The caravan was led by Imran Khan, prominent anti-drone politician and legendary cricket star. 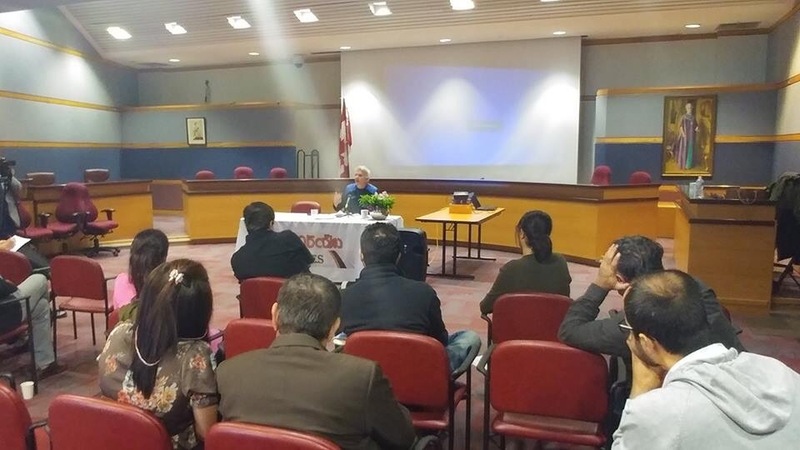 The speaking engagements in the Toronto area were organized by Socialist Action-Canada. Endorsing groups included: Code Pink – Canada; the Executive of the Greater Toronto Area Council of the Ontario Public Service Employees’ Union;Toronto-Danforth NDP; Thornhill NDP; Canadian Arab Federation; IJV- Independent Jewish Voices; NION – Not in our name, Jewish voices opposing Zionism; Crescent International newsmagazine; Science for Peace; NDP Socialist Caucus; Youth for Socialist Action; Toronto Haiti Action Committee; TorontoForum on Cuba; the Latin American and Caribbean Solidarity Network; TorontoAssociation for Peace and Solidarity; and the Ontario Coalition Against Poverty. Another person asked, “How does the drone issue relate to the average person here?” SA-Canada members pointed out that workers continue to face the biggest economic crisis since the 1930s. And while there is plenty of money for corporate bail-outs and for military spending, our rulers maintain there is no money for housing, transportation, education, health care, childcare – not even for enforcement of decent food inspection standards. The truth is: people can’t eat bullets. The homeless can’t live in fighter jets and tanks. And military spending is not the key to peace and security. Social justice is the key. Ottawa’s policy is not, and never was peacekeeping. It is about militarism for profit. It is about arms production and sales. At the United Nations in late November, Canada’s delegate was one of only 11 reps, out of 194 countries, to vote against observer state status for Palestine. The Canadian state does not approach international relations with clean hands. Seventy per cent of the largest mining firms in the world are based in Canada. They cause untold harm to indigenous peoples. The mine owners want ‘security’ – to plunder and profit from the labour and natural resources of the less developed countries. So, in this struggle against war and for social justice, which emanates not from a policy, but from the capitalist system, who is on our side? The New Democratic Party is the only labour party in North America, based on the unions. But the policy of NDP leaders is pro-capitalist, pro-pipelines and pro-Zionist. This stance is in violent contradiction with the interests of the vast majority of NDP voters and members. The same contradiction is evident in our unions. Union leaders preach against social cuts, layoffs and inequality. At the same time they negotiate concessionary contracts that establish two-tier wages and benefits – economic provisions that discriminate against young workers and immigrants. What are we, working people, to do? Well, it makes no sense to abandon our organizations. We struggle to build them, and to make them work for the majority, for the working class and the poor. We fight to win support for a Workers’ Agenda in the unions, and for socialist policies in the NDP. 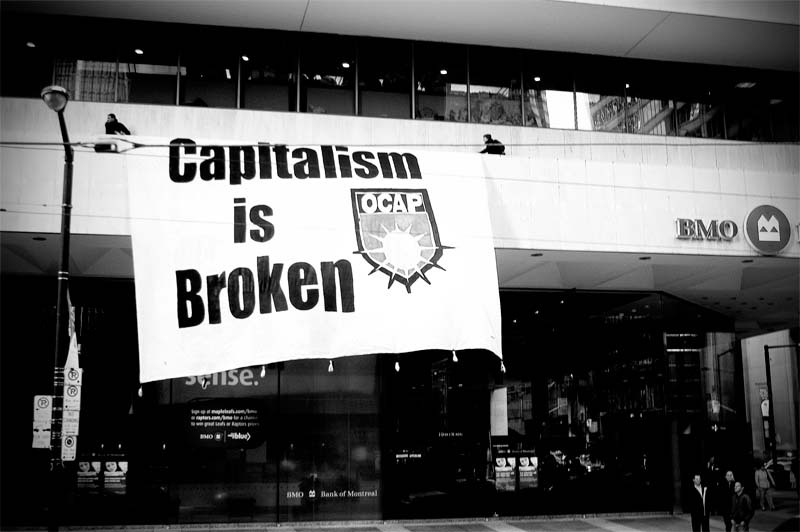 Socialist Action is a revolutionary workers’ organization with members across the country, from Montreal to Vancouver. We are active year-round. We publish a monthly newspaper, many booklets and other literature. We organize conferences, film festivals, concerts, student study groups and demonstrations. With your participation we could do much more. We could turn the tide on capitalist austerity and war. We can build a socialist movement that will transform Canada and the world. If you agree with those goals, we invite you to join Socialist Action today.